M31’s Production mobile “Andromeda,” brings studio quality high definition video production to your event. With 8 cameras, full audio production, EVS replay and Duet graphics, Andromeda is the all-in-one solution to the complex task of live event broadcasting. M31 Production’s TITAN is the largest mobile display screen in North America. If you are wanting the ‘WOW’ factor added to your outdoor event look no further. In stunning crisp HD, TITAN delivers. M31’s portable generators are made specifically for outdoor events. They are synchronizable which enables immediate backup power preventing any brownouts. Whisper quiet these units are the safe, smart solution to your power needs. M31’s Rough Terrain Lift delivers a huge platform, soaring work heights and heavy duty capacities all in one package! With the ability to carry two hard cameras and their operators this unit can reach a work height of 15.11m (49ft) giving you the ability to get that high and wide shot safely. 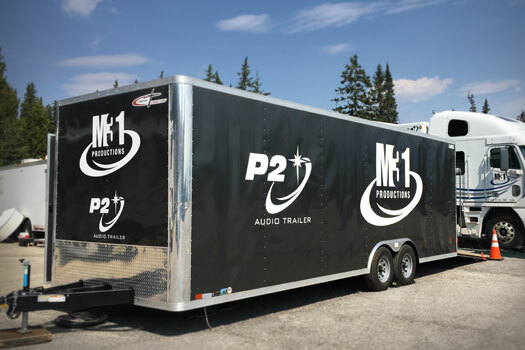 This 24ft trailer contains two complete speaker clusters in their own easy transportable carts. 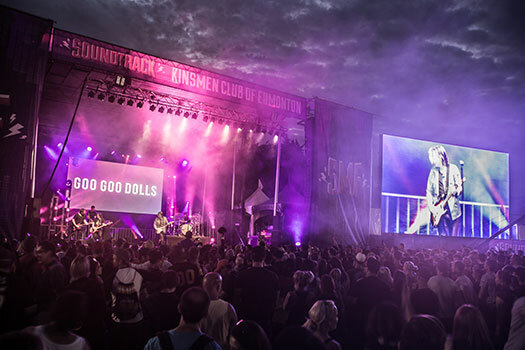 With it’s own audio control room this package is great for any outdoorevent as the power behind these speakers are enough to fill a 5000 seat stadium. 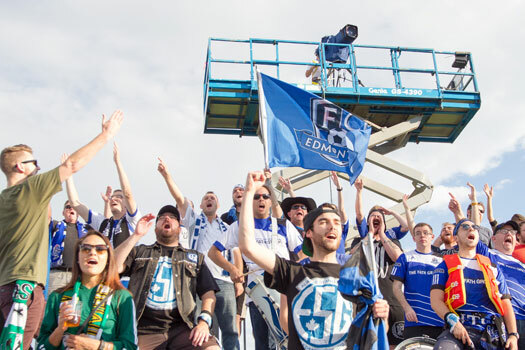 They are currently being used by FC Edmonton of the Canadian Premier League at all their home games. M31 Productions is an Edmonton based, AMPIA award winning video production company that specializes in live sports broadcasting. 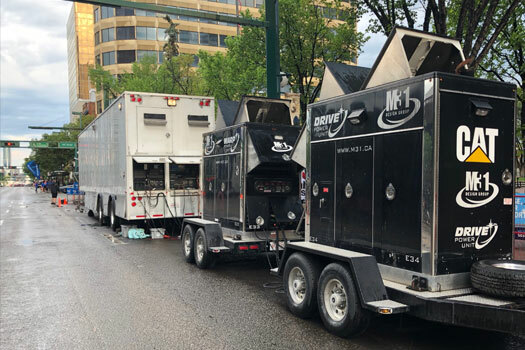 Since 2010 we have been involved in numerous sporting events ranging from NASL soccer, World Cup Rugby, World Cup Soccer and the 2017 edition of the Tour of Alberta. 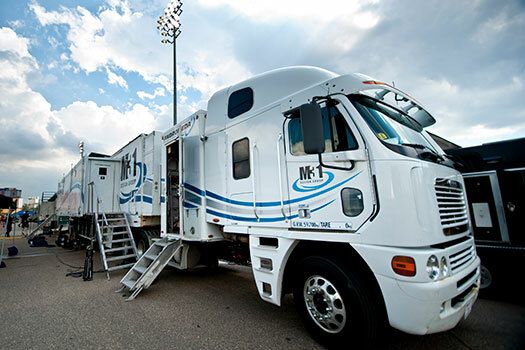 Along with our video production/broadcast capabilities M31 has an extensive rental fleet available for your next live event.